On 10 November 2017, I had the honor to be the sole opponent for the (successful) public defense of Philip Linné’s doctoral thesis on ‘Regulating vessel-source air pollution: standard-setting in the regulation of SOx emissions’, at Gothenburg University (Sweden). 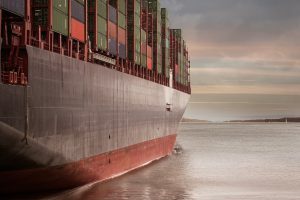 The thesis concerns the regulatory response, at different scales, including notably the EU scale, to tackle the environmental and human health impacts caused by sulfur oxide (SOx) emissions from the exhausts of seagoing ships. In this post, I reflect on the international legality and especially the external effects of relevant ‘unilateral’ EU action to tackle SOx emissions, i.e., action that goes beyond what is required by international law. Building on, but also adding to Philip Linné’s insights, I argue that by taking unilateral action, the EU has accelerated the calendar for strengthening global environmental standards in respect of SOx emissions. Seagoing ships are predominantly powered by dirty low-quality, but cheap heavy fuel oil. SOx emissions from international shipping represent approximately 12% of global total SOx emissions. They cause acid rain and ocean acidification, harm human health, and damage buildings. SOx emissions have been rather well regulated on land, as a result of which they have been drastically reduced over the years. At sea, however, for a long time, they have gone unregulated. And even today, regulation of SOx emissions from marine sources is far more lenient than from terrestrial sources. Under current international and EU law, sulfur contents in marine fuels may be 500 times higher than maximum allowed sulfur limits for road fuels. This may not be justified, especially not because a large portion of maritime transport takes place relatively close to the shores and to major urban settlements. The regulation of SOx emissions – just like the regulation of every transnational environmental problem – is a multi-scalar or multilevel matter. One of the scales is the regional one, and obviously the role of the EU is of particular relevance here. Sustainability is a core constitutional value of the EU that also guides the EU’s engagement with the wider world (Article 3 TEU). Given this, the EU has not shied away from taking the international lead regarding various environmental matters. While the EU may prefer multilateral avenues, it may also take unilateral action in this respect. Climate change is a case in point. Exasperated by the slow progress at the international level regarding the reduction of greenhouse gases from aviation (which is not addressed by the Kyoto Protocol or the Paris Agreement), the EU has applied its own stringent regulation to foreign airlines flying to or from the EU. In the face of EU pressure, the International Civil Aviation Organization (ICAO) seems to have given way recently. However, it remains to be seen whether the EU will recognize ICAO’s emission standards as equivalent to EU standards. In the literature, this has been characterized as contingent unilateralism (see Scott and Rajamani, 2012): the EU takes unilateral action, also with regard to foreign operators, in order to push the envelope internationally. It aims to bring about international regulation that mirrors EU regulation, and is willing to maintain its unilateral action in case multilateral solutions remain elusive. The EU has also taken unilateral action in the field of maritime SOx emissions. An international convention, MARPOL 73/78 Annex VI (1997), sets out international standards regulating SOx emissions. However, when transposing this convention in the EU legal order, the EU in some ways went beyond MARPOL. For instance, the EU envisaged the early implementation of a North Sea sulfur emission control area, it introduced a sulfur fuel limit of 1,5% for passenger ships, and introduced a 0,1% maximum sulfur requirement for ships at berth in EU ports. None of this is addressed by MARPOL. The question is whether such unilateral action is lawful. After all, the EU imposes standards on foreign-flagged vessels which, under the law of the sea regime, fall (primarily, or some would even say exclusively) under the jurisdiction of the flag state (including non-EU flag states). Arguably, the flag state may harbor legitimate expectations that its vessels are only subject to truly international standards to which it has explicitly consented. One relevant case reached the Court of Justice of the EU, Mattia Manzi, Compagnia Naviera Orchestra v Capitaneria di Porto di Genova (Case C‑537/11), but the Court ultimately refrained from reviewing EU law in light of international law – the MARPOL Convention – on the ground that not all Member States were parties to MARPOL. This leaves open the question what would have happened if they had all been parties to MARPOL or if the EU itself would have been a party to that treaty. Arguably, international law does not bar the taking of unilateral environmental measures. As far as the law of the sea is concerned, the UN Convention on the Law of the Sea appears to allow environmental unilateralism, at least to a certain extent, where it provides in Article 211(3) that states can ‘establish particular requirements for the prevention, reduction and control of pollution of the marine environment as a condition for the entry of foreign vessels into their ports or internal waters’. More generally, under the customary international law of jurisdiction (so not the law of the sea specifically), states may take unilateral environmental measures if they can establish a substantial connection to the matter. Given the immediate adverse effects of SOx emissions on the EU environment and on EU citizens’ health, such a substantial connection is surely present. Accordingly, whereas international environmental law may set minimum rules, individual states and the EU could go further. This applies especially if they can cite scientific studies which establish that current emission practices, even if in compliance with international standards, will continue to cause environmental and health impacts. Regardless of international legality or illegality, operators may obviously have no other choice than to comply with EU law lest they lose competitive opportunities. Such compliance may have knock-on effects for their worldwide operations. Eventually, it may even inform foreign or international regulation that mirrors EU regulation, as foreign and international regulators may tend to codify practices which operators espouse anyway. This is also called the Brussels effect (see Bradford, 2012): through foreign operators’ compliance, strict EU standards may migrate internationally. In the field of shipping, such a Brussels effect is not a given, however, as migration of EU standards depends very much on the technical ship adjustments which shipowners can, or cannot, reasonably afford. Regarding SOx emissions, it may be feasible for a ship, once it leaves EU waters, to change to fuel that only complies with looser international requirements (of MARPOL and the International Maritime Organization). In that case, the external effect of EU law may prove quite limited. However, changing fuel is not just a matter of turning off one tap and turning on another. Such changes also come at an economic cost, as a result of which vessels visiting EU waters may still decide to comply with strict EU fuel standards in their global operations, largely as a matter of energy efficiency. This is more or less comparable with the global effect of earlier US and the EU requirements that tankers be fitted with double hulls to limit the chances of accidental oil spills. These tankers could obviously not magically return to a single hull when leaving US and EU waters. Thus, the global effect of unilateral action was more or less assured. In turn, international regulation was brought in line with US and EU preferences. A similar course of events is now taking place regarding SOx emissions. Indeed, from 2020 onwards, much stricter international regulation (Res. MEPC.280(70) and Reg. 14.1.3 of the Revised MARPOL 73/78 Annex VI 2008) will enter into force, which aligns broadly with currently applicable EU law (2016), e.g., regarding the establishment of sulfur emission control areas (i.e., maritime areas close to urban settlements, such as the Baltic Sea). It appears that, again, the EU’s pushing of the SOx envelope through the initial adoption of trailblazing unilateral regulation has resulted in accelerating the calendar for strengthening global environmental standards.